BlackBerry executive contradicts CEO, says new PlayBook in the works | BlackBerry Blast! BlackBerry CEO Thorsten Heins said there were no plans to make another PlayBook until the company figured out how to make it more than just another tablet. A BlackBerry executive apparently sees things differently and confirms BlackBerry is already working on another PlayBook. At the Dubai BlackBerry User's Forum, BlackBerry director of product management, Mike Al Mefleh, said six new BlackBerry devices would ship in 2013, in addition to a new PlayBook. Mr. Mefleh did not give any specifics as to a release date, but Emirates 24|7 claim sources have informed them the device could have a 10 inch display. What does all this mean? It means we're getting mixed signals from BlackBerry. 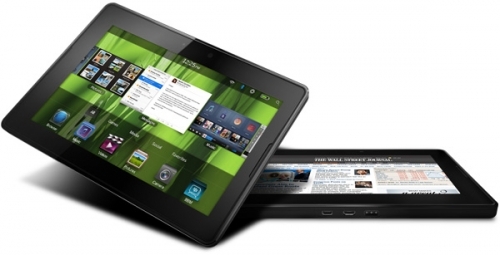 It's almost certain that BlackBerry will release a tablet if they're still in business later this year. They have to compete with iOS, Android, and Windows, and they all have tablets.